In another first, this is being written from the pub. 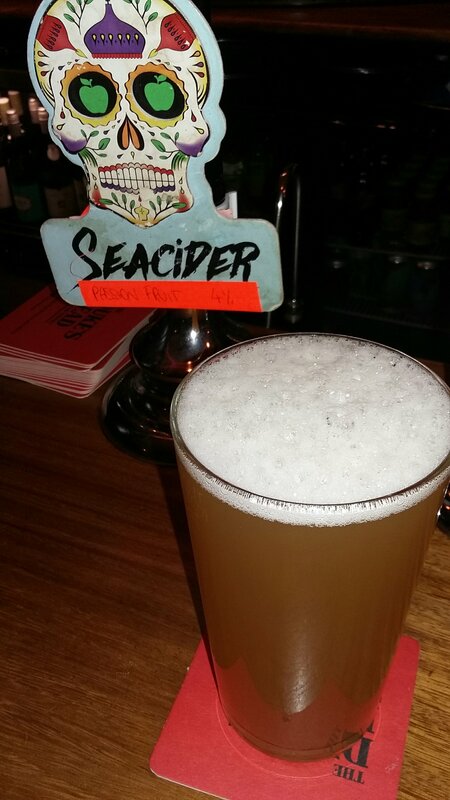 Today’s drink is passion fruit Seacider at 4%. This is more like fruit juice than a cider. I would put it in a group with the Old Mout ciders. Very much the taste and smell of passion fruit. If you didn’t know this was alcoholic, it could be dangerous. Not that anyone would be dumb enough to get drunk on what they thought was fruit juice *cough Scott cough*.